Some time ago I had a discussion with a friend who described himself as an atheist. His occupation requires difficult problem solving, and he is good at it. He has also given some thought to the universe and the future of mankind. I asked him: “Can you foresee mankind discovering immortality?” Barely giving this a second thought, he said “Yes”. “Can you foresee mankind discovering interplanetary space travel?” With only a second of delay, he said “Yes”, again. “If we discover immortality and space travel, we can live forever, because we are not bound to the inevitable slow end of a solar system. Have we not become ‘gods’? And what would you do if you were a god? Would you not do what has brought you the most happiness here - have children? And would you not search out and discover the eternal laws which secure the most happiness for them and which will bring order to civilizations and the universe? And once you have discovered these things, would you not teach them to your children so they will have the knowledge to secure their happiness? And would you not give them experiences which would allow them to learn all you have learned, and tests to assess their reverence for these eternals laws and willingness to obey them? Their consistency in obeying these eternal laws would be the test for whether they are capable of handling the power you have gained through knowledge. Those who are found capable, or worthy of this knowledge would have become like you. And now, in the vast infinity of time and space, how can we believe we are the first civilization to contemplate, approach, and achieve immortality? We are not. It has already occurred. God exists.” After I said words similar to the above, my friend paused and thoughtfully replied: “You have a point.” He did not immediately agree what I had proposed must be true, but he acknowledged the possibility. There has never been a time in the history of the world in which it should be easier to believe in God. Some would have us believe just the opposite. They suggest that clearly mankind has achieved all these great things through their own intellect and genius, a consequence of evolution. “If there were a God, He would not permit the tragedies which occur here”, they may say. Yet they miss the mark, for if they carried this great intellectual achievement one step farther, they would see that what we are learning will make gods out of us. Then the startling realization occurs: The probability this has not already occurred in the vast infinity of time and space has infinity in the denominator. Infinity in the denominator is what mathematicians call “vanishingly small”, or essentially zero. In other words, the probability it has occurred is 1. Immortal beings exist. One of the more difficult concepts we have to learn is the concept of agency. Wouldn’t it be better to just make sure everyone is obedient? We wouldn’t become like our Father, but close enough. At least we would still be able to live with Him. Without having a choice, we couldn’t go wrong. However, we also would not learn the critical lessons needed to learn to be like our Father. We would not be tested to see whether we would follow the eternal laws of happiness and therefore we could not be trusted with all the responsibility our Father wishes to give us. Perhaps because they had been disobedient to the eternal laws themselves for so long and consequently knew they would fail the test of mortality, many were adamant in their efforts to persuade Father to remove agency from the test. When Father made clear the necessity of agency, they rebelled. It was necessary to bar them from the privilege of having an immortal body, a condition which requires a level of obedience. Because of this they are miserable, but there was no other choice because of their disobedience. So angry are they for the consequences of their disobedience, they now wish for us all to be miserable like they are. Cast down to earth to attempt to persuade us to be disobedient, our test would be harder, but necessarily so, to prove whether we will choose the good under all circumstances. We would all have a conscience, or light within us, which would allow us to discern one of His instructions when they are brought to our minds by His Spirit, or when they are taught to us by others. How obedient we are to His instructions as we become aware of them will be our test. If we are obedient, we will be learn more. If we are not, the light within us will become dimmer - not as a punishment, but as a natural consequence. All of this was necessary for us to have an experience like our Father had, without which experience we cannot become like Him. What if we failed the test by disobeying the instructions? The light was given to us and we did not obey it. The consequence will just. The consequence is separation from our Father. In order to govern our universe perfectly, His presence must be completely free from darkness, and as a natural consequence, free from those who have chosen darkness over light. Can’t we make up for it somehow? We agreed to the test and the consequences and now justice must be satisfied. What can be done? What about mercy? Surely our Father wishes to be merciful to us and give us another chance. Yet, the test of mortality was essential to becoming like our Father. Now there is nothing we can do in and of ourselves to pay the debt to justice. Even if there was a condition for recovery from our disobedience, our nature is to beat ourselves up for our failures. We dwell on them, and if we did not dwell on them, our adversary would remind us. So furious was he and his followers that agency was part of the plan, so angry are they with their misery, they now seek night and day to make us miserable. “It is hopeless”, he tells us. “You have gone too far. You have made one too many mistakes. Your mistakes are too severe.” We hardly need his help in beating ourselves up, so great is our frustration with our weaknesses. We beat ourselves up well without the irritation of our adversary. We ultimately conclude it is hopeless, our weaknesses are too great, and we will never succeed. This melancholy becomes a significant hindrance in the mental attitude which is required to progress and become like our Father. Even if we did not understand what we had done in breaking the eternal laws of happiness, and even if we did not understand this punishment meant separation from our Father forever, some of us would still try to recover from our error by never making mistakes again. Yet by and by, we would discover we continued to make mistakes; perhaps fewer, but enough to make the road to perfection seem too long and hopeless. Some having made mistakes which in their judgement were simply too awful, would out right give themselves up to failure. Isn’t there something that can be done to alleviate the melancholy resulting from our self inflicted wounds so we can move forward unhindered, without the chains of self doubt? Isn’t there something that can be done to recover from the consequences of our disobedience? Isn’t there some way the consequences of eternal separation from our Father can be reversed? If this consequence can be called a punishment, could someone else suffer this punishment for us so we can return? The action of this someone else would have to be voluntary or it would not be just. It would alleviate our melancholy, unchain us from self doubt, and allow us to return to our Father. It would be too good for us, and too painful for he who suffered the punishment for us. Yet, if someone volunteered it would be a brilliant plan for our benefit. 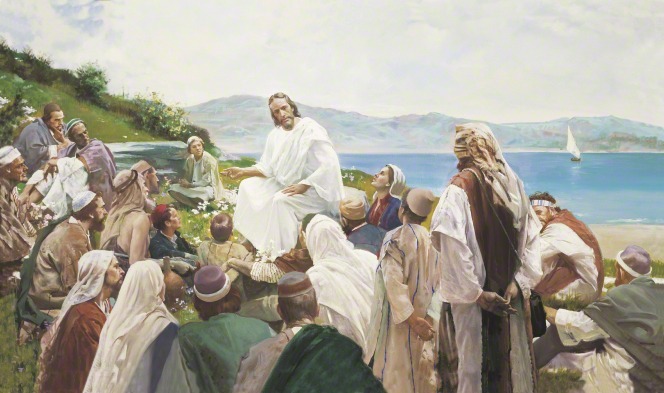 Some believe in Jesus Christ as our mediator, but not fully. “Yes, I can be forgiven,” they might say, “but I’m not fully clean, I can’t be fully clean. My mistakes were too willful and too severe for me to be fully clean.” This mantra cripples them and prevents them from becoming all they could be. Without this knowledge, we are constantly plagued with uncertainty and self doubt. With this knowledge, we can move forward unhindered by our past, as disciples of Jesus Christ.